Welcome to TurkeyDog.Org, where it's always October. We believe turkey hunting is best when done with a dog. While the dog's job is to find the birds and scatter them, the hunter has to call them back in. In the fall, a turkey's defense (the eyes and ears of the whole flock) is at it's best. 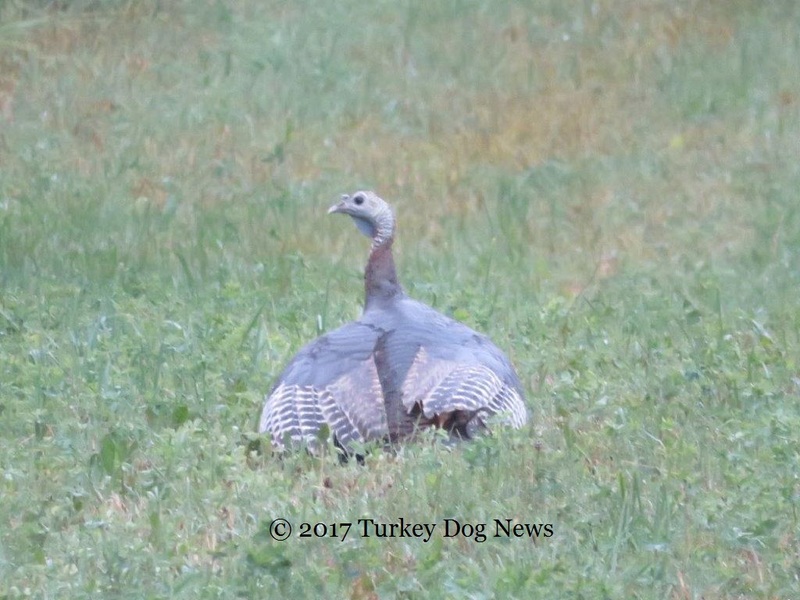 It's easier to ambush fall turkeys, than it is to train a turkey dog to sit quietly with the hunter, while the turkeys are called back in. Training a turkey dog takes a lot of commitment. There's a few things to know about us; we're not an adoption or puppy locating service and we don't sell dogs or puppies to non-members. Hunters join because they're interested in sharing the history and tradition of these special dogs. * Access to exclusive content. Interact with fellow members, post your puppy wanted, share experiences, renew old friendships and make new ones. 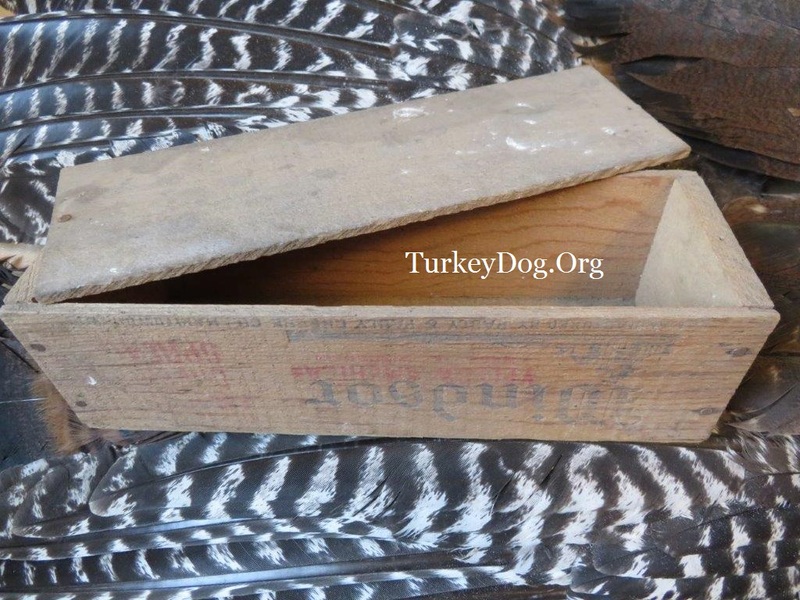 * Newsletter of interesting and useful information about turkey dogs, and what's new at the website. 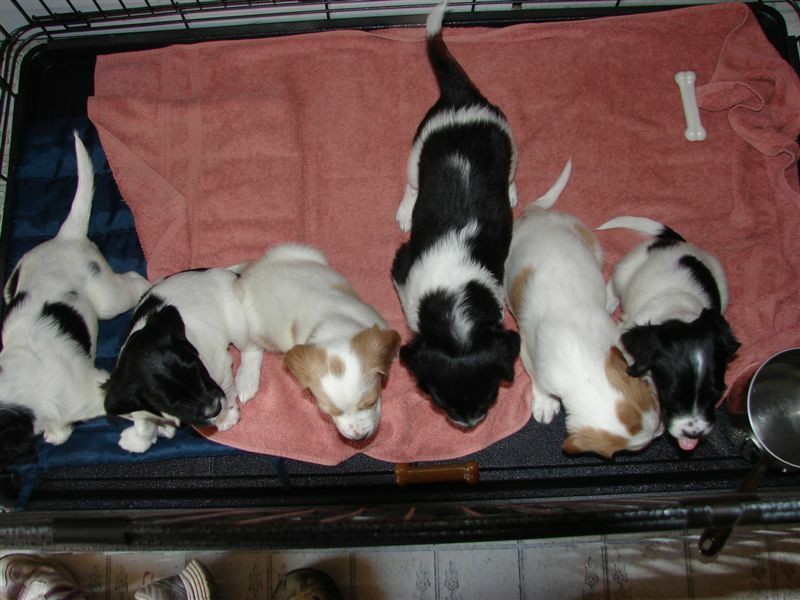 * Notices of new litters, or trained dogs needing a home. 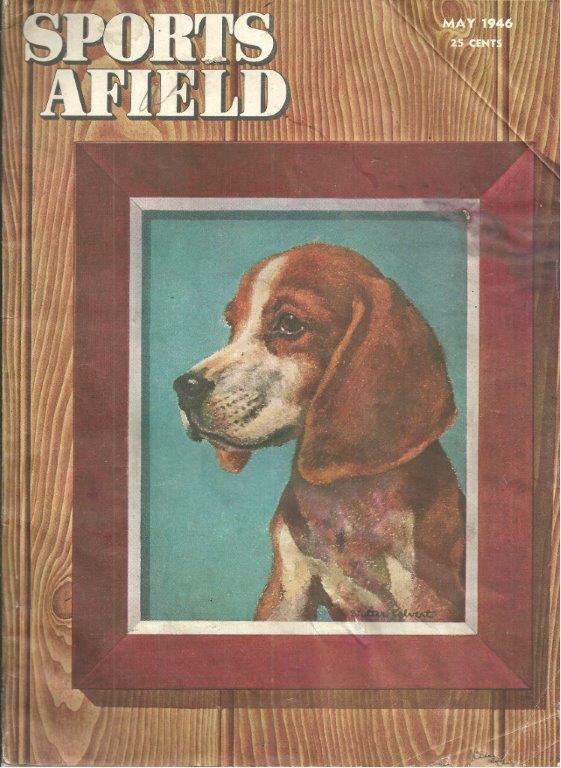 * The only Book in the World on choosing, training and hunting turkeys with a dog (includes tips from 100's of turkey dog hunters). Now in it's 5th printing (original 12/2006. Revised 3/2007, 3/2009, 3/2013, 3/2018). * Advance notice of legislative alerts and season changes. * Receive annual hunt invitations and a free classified ad. Sign up for the Newsletter. #1R) Annual Renewal $10 (previous members only). Hunting the ultimate free range, organic, cage free birds with a dog in the Fall and Winter means long walks in the country and spending a lot of time in the natural world. Fall success rates are about 7% (about half hens & half toms), generally one-third of Spring's 21% success rate (toms only). So, although you're six times less likely to kill a tom (or a hen) in the fall (than in the spring), the reward is; you'll get twenty times more exercise. And spend more time in the wild. Join the club. 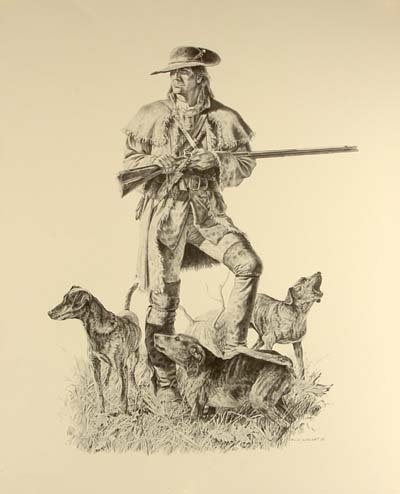 The American Wild Turkey Hunting Dog Association is a nationwide volunteer group dedicated to preserving, protecting and promoting the wild turkey hunting dog tradition. We were founded by sportsmen and women seeking equality for all persons who pursue wild turkey. Our original goal was to organize everything on the web pertaining to the sport, primarily to support legislation allowing fall turkey hunting with dogs in Wisconsin and Pennsylvania. It's grown to where we are today through the contributions and collaborative efforts the members you see on this website have made. Photo courtesy Ben Tennison © Western Mule Magazine. Ben's Missouri mule 'Tote', carrying a fall turkey, is a bucksin dun, john mule, standing in front of a Missouri dogwood tree. How can you tell it's a DOGWOOD? By it's BARK! 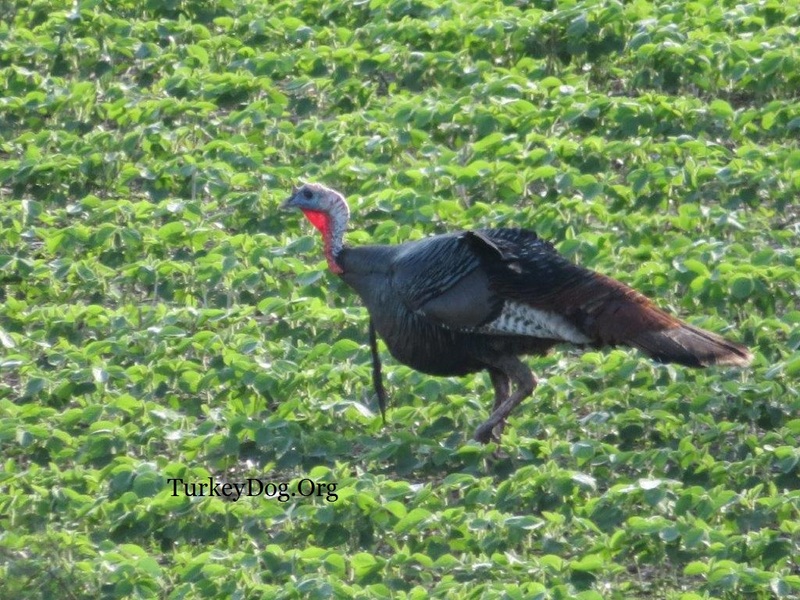 Spring turkey hunting came about as a way for the State to recover the expenses of all the trapping and transplanting they did (since the 1950's). Once the turkey population had recovered, they needed to recover their costs. The Fish & Game departments were in a dilemna: "We can't open the traditional fall season like we've always had. We don't want to shoot the hens we just transplanted! But we heard of some boys down in Alabama, who squawk on an old cheese box and kill gobblers in spring time." The biologists agreed: "It shouldn't hurt the population, to just shoot males." That's when they decided to sell spring turkey hunting permits and raise the much-needed funds." Spring turkey hunting was born. That's why there are turkey hunters today from 9 to 99, who think the time to hunt turkeys is in the spring. Never mind that the males and females (in northern states) just came through a tough winter, ekeing out a living, picking recycled corn out of the manure farmers spread on the fields (if they're so fortunate) and subsisting on weed seeds for long periods. Then the males get worn thinner, fighting for dominance in the breeding season, while the females are stressed trying to lay, set and hatch a brood unobserved. 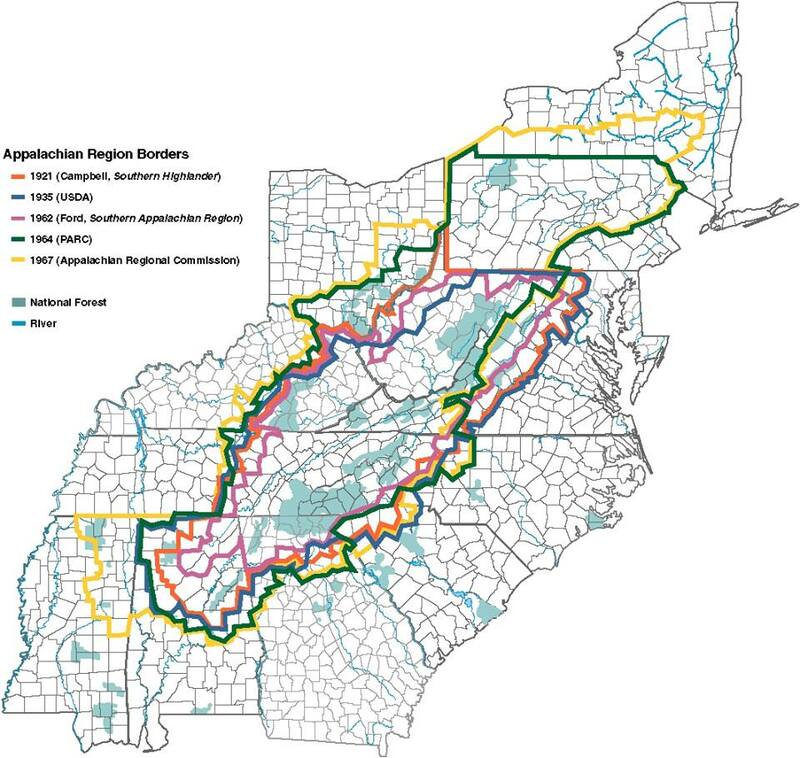 But once the northern Fish & Game departments started selling spring turkey licenses and permits, like they were in the south, the floodgates were opened. It's downright sinful for spring hunters to only breast out a bird, because the legs and thighs are tough (as big gobblers spend most of their life walking and running, they don't like to fly). Compare this to hunting them in the fall, like it used to be, after the turkeys had life easy in the summer time, with all the food available, and when their meat tastes good. Especially the tenderest tasting young of the year. 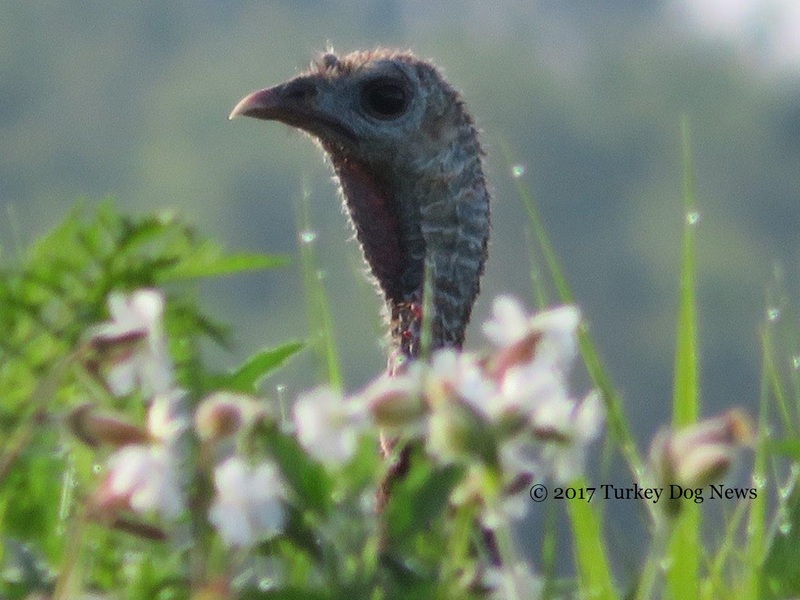 The turkey population is highest in the fall and half the birds born in summer won't make it through the upcoming winter. Better to have them on your plate, than frozen stiff at the base of a tree in January. 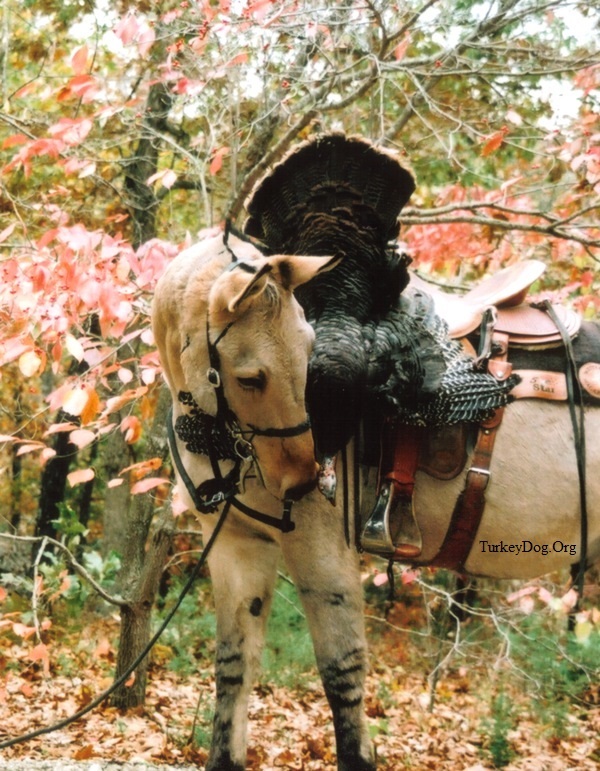 Get a good dog and hunt turkeys in the fall, like they did in the old days. In the late 1940's, when game laws first began, only thirteen states had turkey hunting seasons, and they were all in the fall. 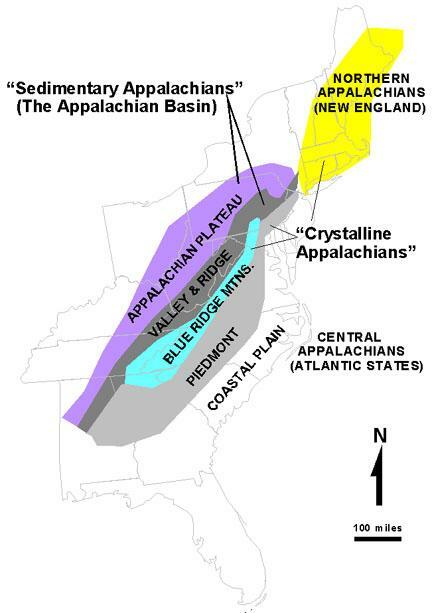 Then came the first Spring gobbler seasons: 1950's Alabama, 1958 South Carolina, 1960 Kentucky, 1961 Virginia, 1963 West Virginia, 1968 Pennsylvania, 1969 North Carolina, 1973 Vermont, 1978 Minnesota, 1980 Massachusetts. 1984 Wisconsin. 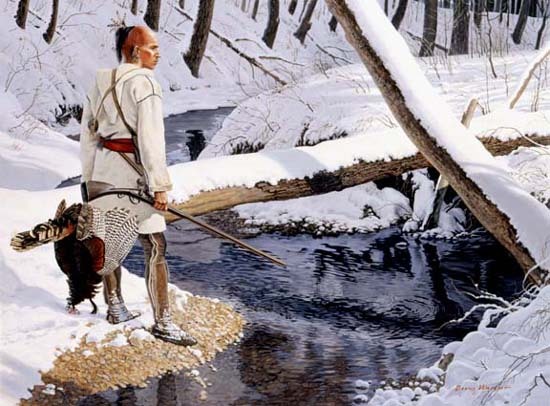 That's why today we have hunters from 9 to 99 who never hunted turkeys in the fall, because all they or their elders ever knew was spring hunting. Watch a video of this hen sheltering her poults in the rain. Turkey dogs used to be a big secret, with their availability and training methods only shared among immediate family and close friends. Those hunters didn’t want anyone else to know about turkey dogs, or compete for turkeys with them. Those who still practiced the art were few. But thanks to them, a crucial part of our hunting heritage was kept alive. Today we live in a different world; turkeys are abundant, but there are less hunters, and less places to hunt. We began this club to affect legislation, and share the history and experiences with friends. We're now the country's number one advocate of fall turkey hunting and of teaching young hunters the secrets of the art. Your support insures this club's continued development and will help us influence fish & game rules and legislation on behalf of all hunters. From June 1, 2004 to January 1, 2013, the AWTHDA's members in 26 states were instrumental in changing the rules to allow dogs in 8 states (IA 2005, ME 2007, MS 2007, MT 2005, NH 2007, PA 2007, WI 2010, CT 2013), and other states lengthened their fall or winter seasons. Join the club and make a difference. #1. Be careful shooting at turkeys running on the ground! 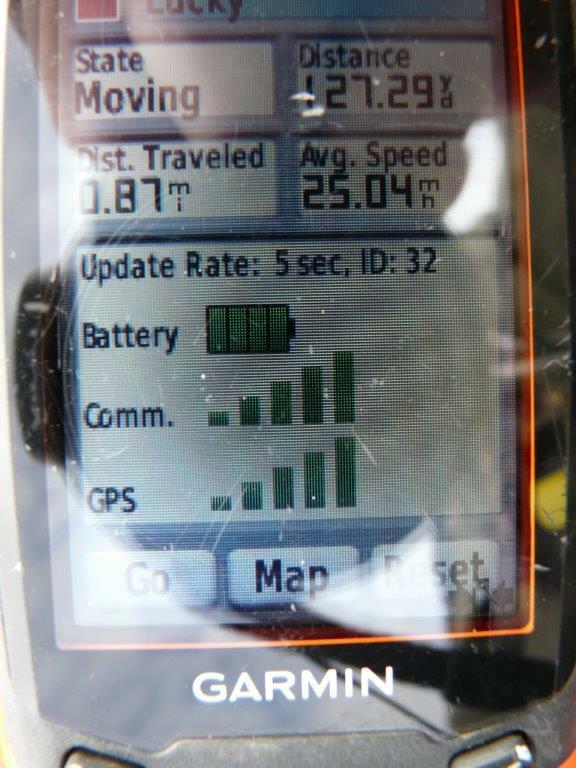 25 MPH = 36.66 FPS. In the 2 seconds it takes to decide to shoot, the dog covers 25 yards. We love introducing hunters to turkey dogging, but if you hunt with us, always keep the dogs safety in mind as much as you do other hunters. The dog is likely right behind any running turkey, and no turkey is worth a dog getting a pellet in the face. If you shoot one of our dogs, expect the cost to be considerable. The value of our dogs is not so much based on their pedigree, show quality, or registration, as much as their initial cost, annual shots, medications, veterinarian fees, licenses and food. Factor in the cost of travel and the hours of training time, the dogs age, their value as a companion, family pet, and watchdog, their awards, any special recognition they've received in the turkey hunting community, and you get an idea of how much value we put on our dog. #2. Don't shoot your gun near a dogs ears, her good hearing is more important than getting a turkey. A healthy dog can hear four times better than humans. If you're right-handed, position the dog to your left rear and you'll save her hearing, that'll be especially helpful when your hearing deteriorates. Learn about Noise Trauma: "Shoulder-supported rifles and shotguns used for hunting and target shooting produce a peak sound pressure level in excess of 140 dB, and fireworks and other explosives can be even louder. The noise actually disrupts the hair cells and their support cells. Since noise-induced trama has limited recovery, repeated exposure produces cumulative hearing loss, a serious problem for hunting dogs where the gun is fired over the dog's head." One turkey is not worth a Deaf Dog. #3. Never disparage any dog. You're welcome to critique another hunter, their gun, calling, woodsmanship, or anything else you like, but don't speak poorly about any dog chosen for turkey hunting. 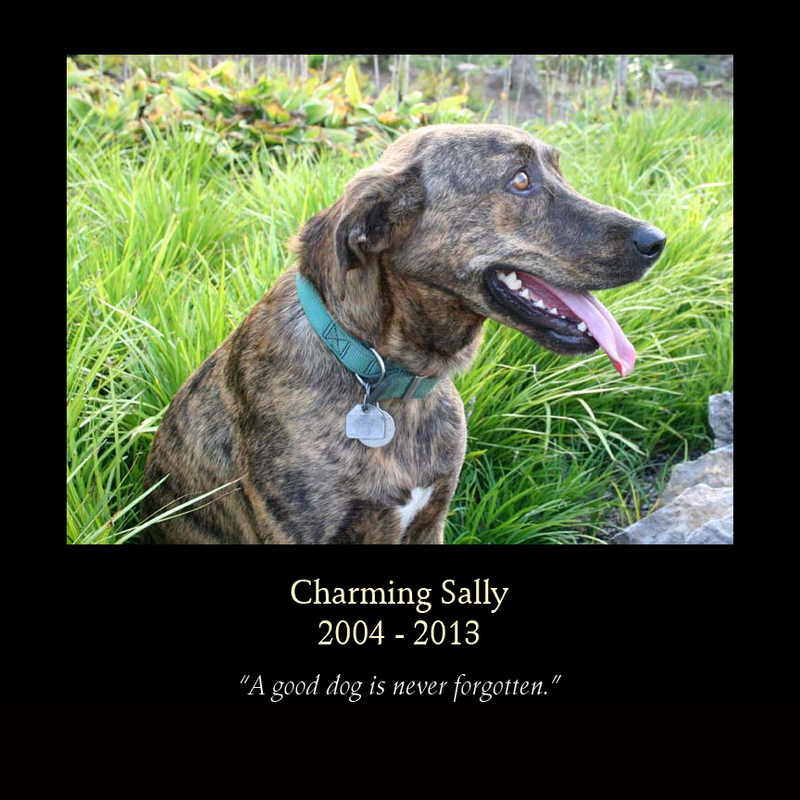 The dog can't help who their ancestors were, and most well cared for dogs try their best for a deserving owner. If the dog isn't doing well, it's most likely because the owner hasn't gotten them out often enough, provided adequate feed or care, or it's the way they treat them! Turkey Dogs can be the solution to a variety of personal and societal concerns. 1. With todays obsession with video games, internet socializing, and endless television, psychologists determined long ago that many children suffer from Nature Deficit Disorder . They don't spend time outdoors, and have few responsibilities. 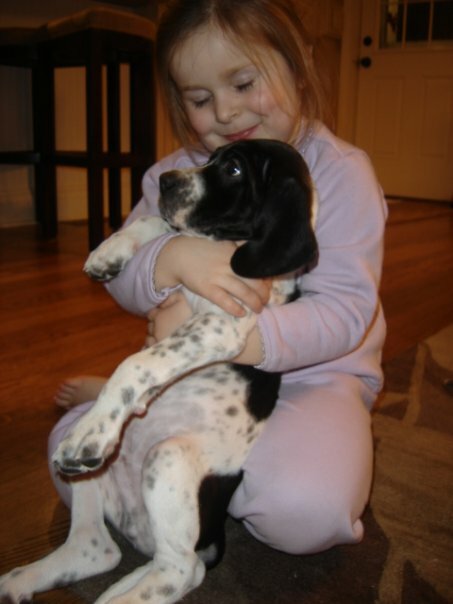 By getting them a puppy, a future turkey dog, they will have many opportunities to reconnect with nature, their family members, and learn to care for something beyond themselves. 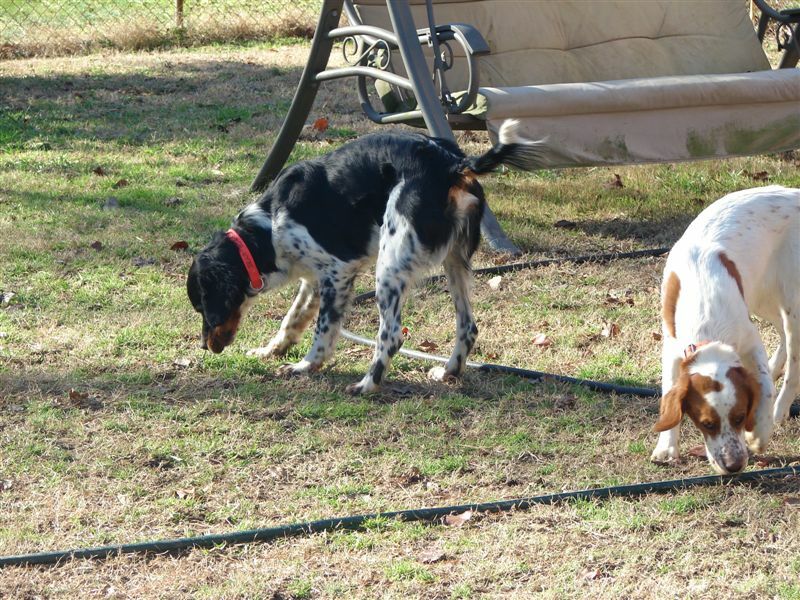 The whole family can be involved in selecting, training, and caring for the puppy, and then hunting a turkey dog. (Rob Mucinski of Limerick, PA sent this picture worth a thousand words: "I took my new pup over to my sister's house yesterday, my little niece really wanted to see him. They had to put down their dog last week, and her daughter was taking it pretty hard, now that she doesn't have a dog, she is such a dog lover like my sister. Anyways, she just sent me this picture and her daughter says she is 'In Love' with my 'Cow Puppy' as she calls it. Nothing brings a smile to a kid like a puppy. She cried when I left with him, and now she says she wants a turkey dog puppy too! Just had to share this picture!" More 2/22/10). 2. For those of us who are getting up there in age or weight, and have knees and backs that are more cut out for an easy walk rather than a climb up a tree stand to sit in one spot for long uncomfortable periods, turkey hunting with a dog can be just the type of hunting you're looking for. The dog will do most of the work, allowing you to enjoy the stroll, until your dog scatters the turkeys, and then you can sit down and enjoy the rest. 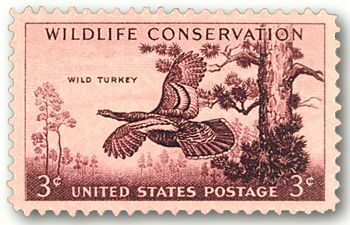 Plus the wild turkey provides low fat, healthy, organically grown food for the dinner table. 3. In today's economy, a low budget venture is tough to find. While it can cost an arm and a leg to get into some pastimes, turkey hunting with a dog doesn't. 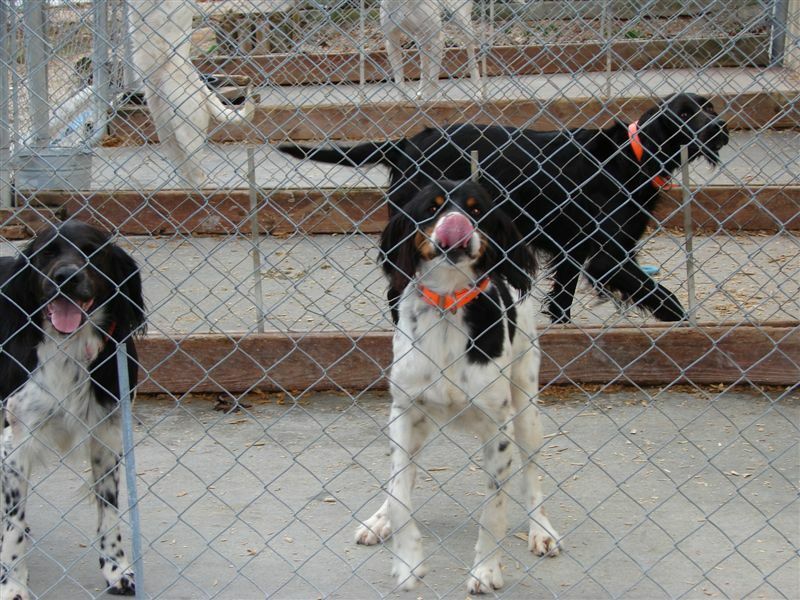 Some of the best turkey pups are free, or mixed breeds rescued from a dog pound. Your time spent in training, dog food and health care will be your biggest investment. 4. Plus your dog provides the family protection against crime; burglars don't like entering a house with a barking dog! Since the AWTHDA is headquartered in Wisconsin, we'll use our state as an example. 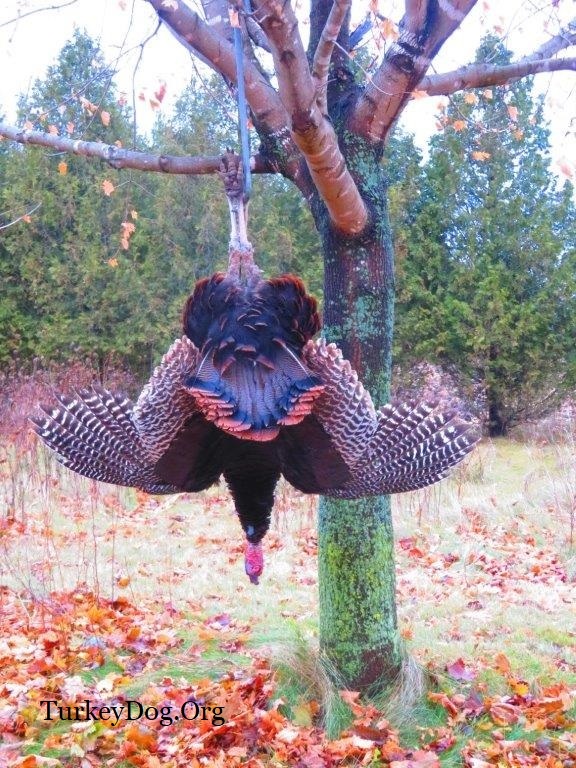 The wild turkey is the most prolific bird we have today, far exceeding all other upland birds, and with the 3 month long fall turkey season in Wisconsin, there is more opportunity to get outside and pursue turkeys than any other wild game except deer (and that usually means sitting in a tree stand for long periods). 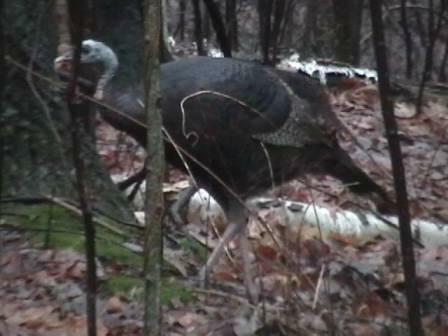 Plus, the turkeys are a lot easier to carry out of the woods! Training a turkey hunting dog means spending hundreds of hours with your dog, both indoors and out; studying, scouting, photographing, and observing hundreds of turkeys for every one you shoot. More often than not, the weapon of choice is a camera. Your turkey dog gets you outside walking and breathing in fresh air; playing fetch with your puppy, watching turkeys on your stroll through the park, attending obedience classes, or going to dog parks for socialization and exercise. With so many wild turkeys living in suburbia today, they can make for some exciting neighborhood walks for yourself and your turkey dog-in-training. 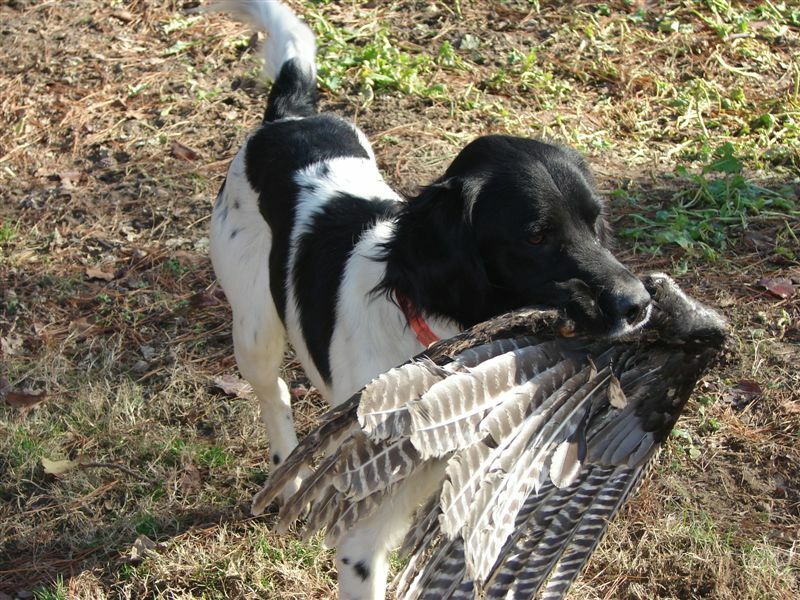 Hunting our country's most spectacular game bird in the fall is growing in popularity, as is training a dog to assist. 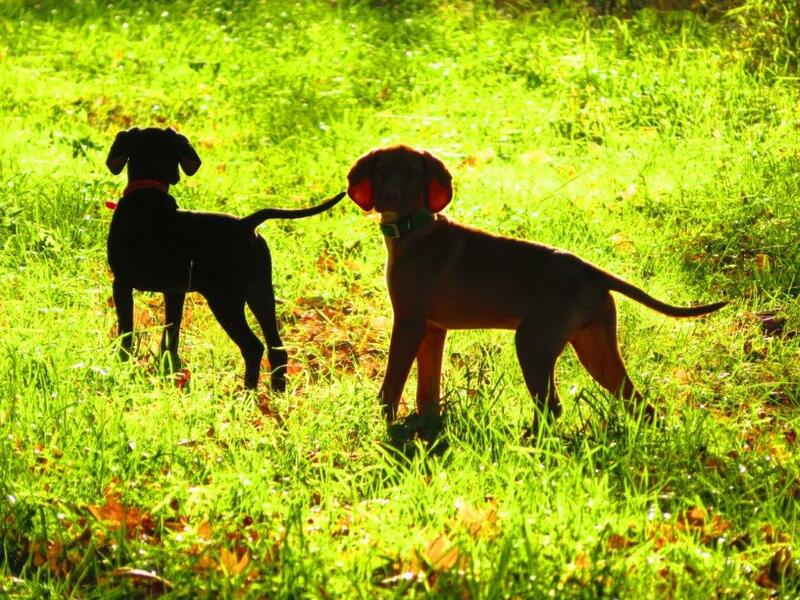 There are plenty of wild birds to train your dog on (check dates permitted, varies by state). 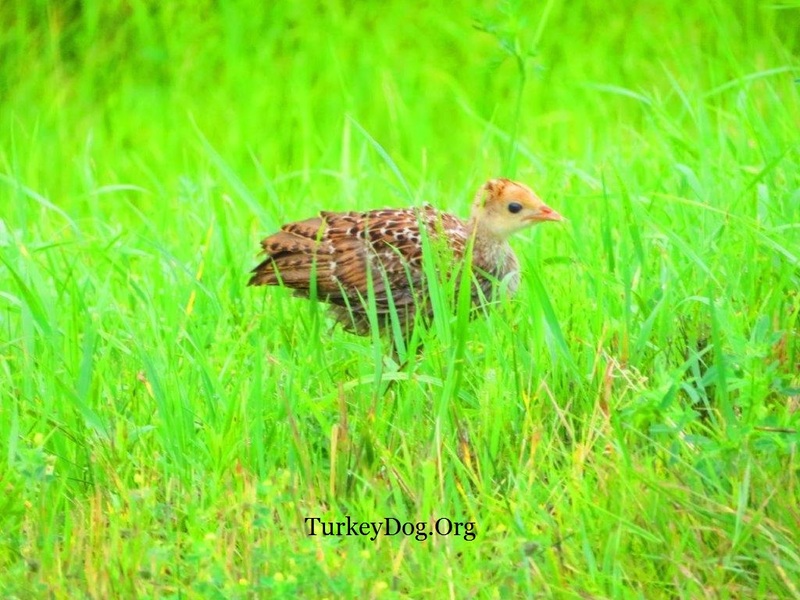 There's no need to pay game farms for expensive pen raised birds (chukars, ducks, pigeons, pheasants, quail, or heaven forbid - farm turkeys) to train your turkey dog. We train them on the real thing (the Wild Turkey Dogs book will tell you how, and when to start). We don't have registries, judges, shows, conduct testing, have field trials or hold competitions (yet). 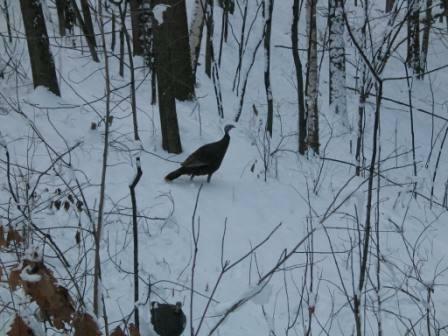 The only competition is the hunter with his or her dog, against the wild turkey. 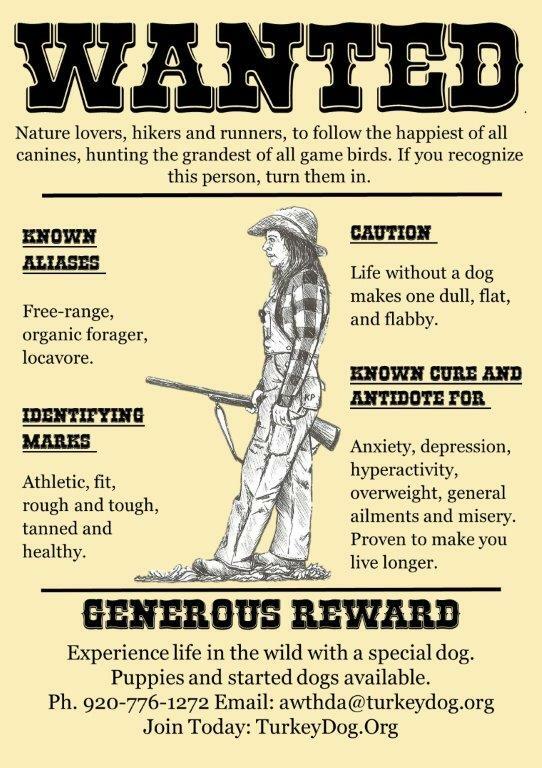 Many dogs are versatile enough to hunt other game besides turkey, it's just up to you to see they get plenty of exposure, practice and discipline. 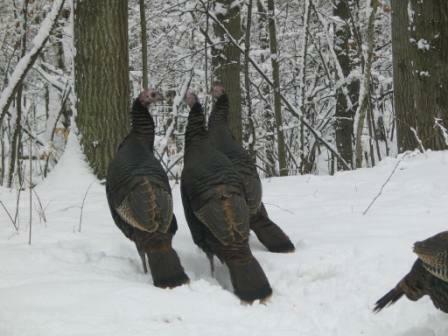 Plus, you don’t need all the decoys and extensive equipment spring turkey hunters do. Just a few shells in your pocket for the old single shot, some camo material to hide your dog, a call or two, and you're in for an exciting experience. Join the AWTHDA, read the book, and learn how to hunt fall turkey with your dog. Note: in the article on the right (1893), they didn't have a dog. 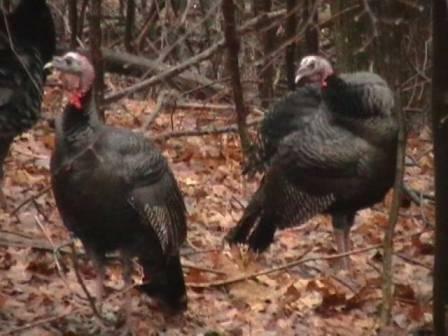 For the past 40 years or more, most of us learned to hunt turkeys in the spring. 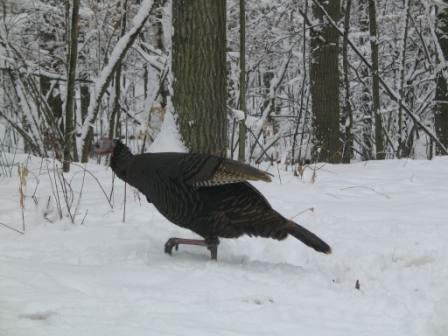 Once we experienced a spring tom strutting and gobbling his way towards us, we got hooked on turkey hunting. Now with the wild turkey population restored in most states, we're allowed that same opportunity in the fall (like it used to be), and with our dog. In the fall, the gobblers stalk, rather than strut towards you. But you'll hear gobbles, along with a full repertoire of other turkey language. 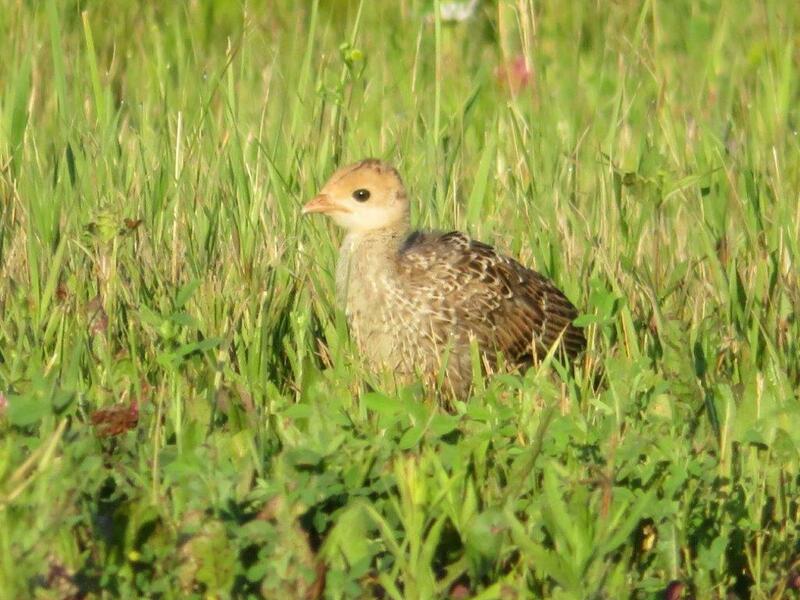 In northern latitudes like Minnesota, Wisconsin, Michigan, New York, Vermont, New Hampshire, Massachusetts and Maine, wild turkey hens lay their eggs some time between April 28 to May 12th. The hens then set on their eggs for 28 days, between May 12th to May 25th. 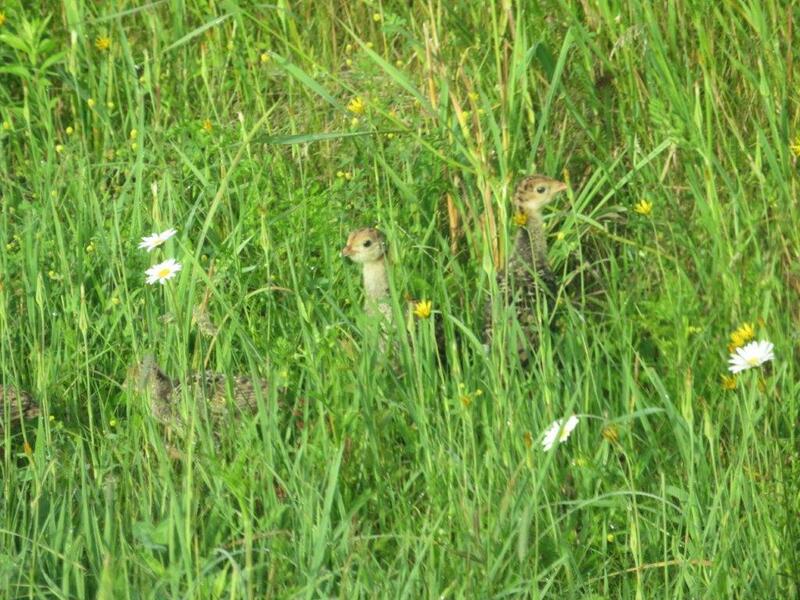 Their poults hatch from June 9th to June 22nd. Turkey hunting traditionally meant the fall season, after the turkeys were fattened up all summer, and when the meat tastes good. Compare that to a bird that just came through the winter, strutting for hens for months, fighting with other toms, and worn thin from not eating. Fall turkeys are far more savory than spring turkeys. Dogs have been trained for everything from police work, to assisting the handicapped, to hunting wild turkey. Today, if every turkey hunter was required to have the assistance of a trained dog, we'd recover every bird accidentally wounded, and prevent any crippling losses. We use a dog to hunt every other game bird in the United States, there's no reason we shouldn't hunt turkey with a dog, spring or fall. The usual method (in the fall) is for the dog to scatter the flock, then we take advantage of the birds flocking instinct to call the birds in, while our dog sits quietly by our side. 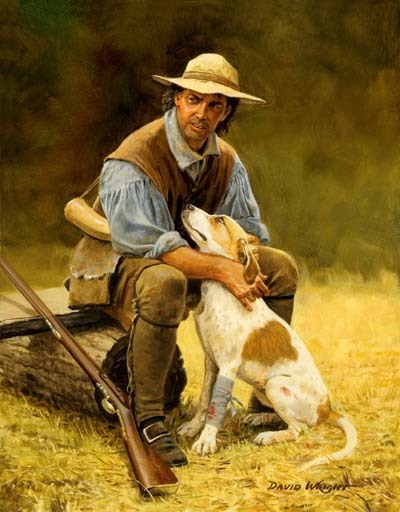 In the spring, the dog sits quietly until the gobbler is called in and shot, and only then does the dog assist when a gobbler is inadvertently wounded, and the dog is needed to find the crippled bird. These dogs must be highly trained or their presence in the spring is more likely to ruin the hunt, than be helpful. Only the owner will know when their dog is ready. This usually doesn't happen until the dog is 2 or 3 years old. When that is depends on the amount of time the owner has spent with the dog, hunting and not. Except for sheep or goat, there's no wildlife more challenging to hunt in the fall than mature wild turkey gobblers. To hunt bighorn sheep, we use saddle horses and pack mules. For goats, mountaineering gear. For mature wild turkey gobblers, the finest bird dogs on earth. There are debates about whether hunters should bag hens or jakes in the fall, because it may affect the availability of mature gobblers the following spring. Think what the fall population of mature gobblers would be, if all those weren't shot the previous spring! Rev. 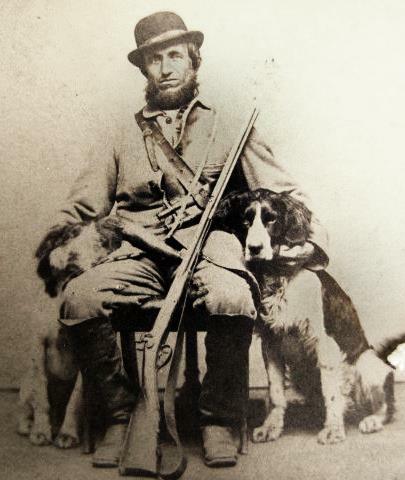 Zack Farmer said that Archibald Rutledge and Henry Davis "thought it an abomination that people were allowed to shoot gobblers during the spring season and likened it to shooting fish in a barrel. 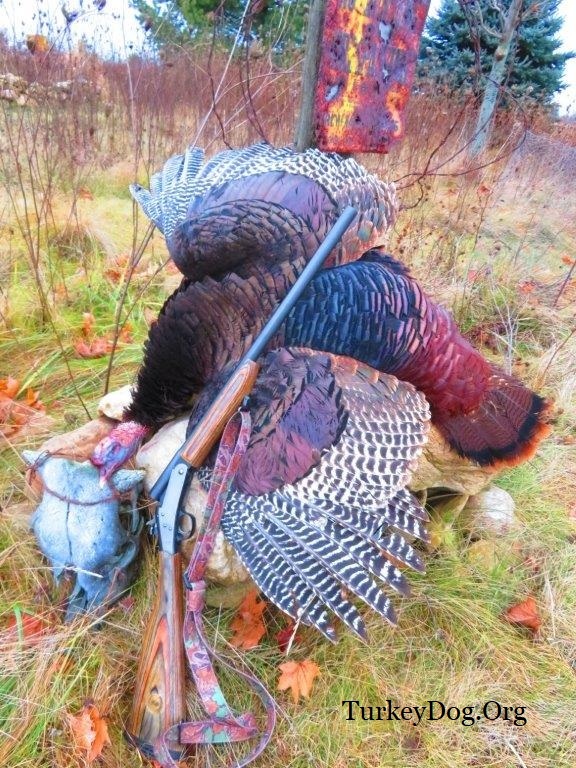 They thought it much more sporting to bust up a group of turkeys in the fall and call them back in and hunt them by stealth, than use hen calls during the mating season to bring even wary old birds running foolishly to gun." The Times and Democrat Orangeburg, S.C.
"In Virginia, the wild turkey afforded the Virginians much exertion as well as wariness to come up with it and kill it. 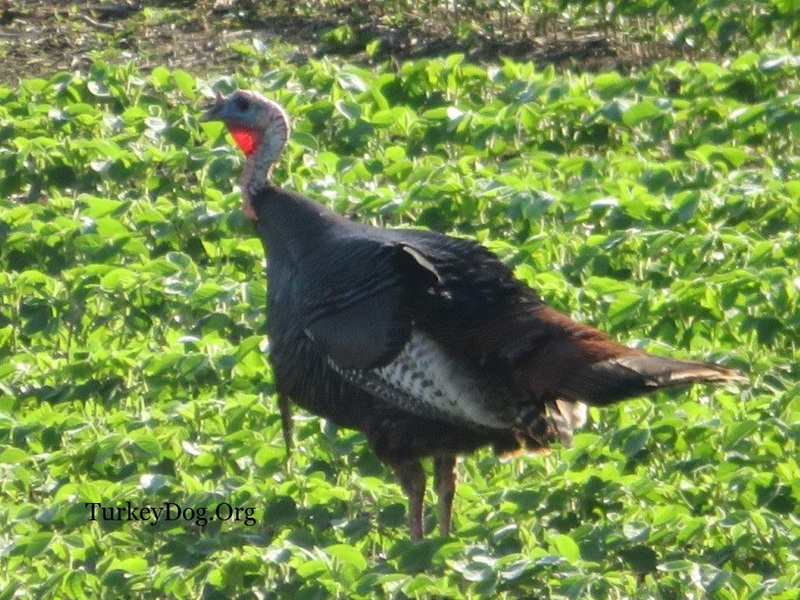 As for whether or not fall turkey hunting with dogs should be allowed, Jim Paige says it well: "It's funny how hunters can nit-pick so much, against one another. If hunters' ranks were anywhere NEAR as together and supportive as the anti-gun crowd, we'd never have a problem with supposed "anti-gun" legislation or so-called 'animal rights' groups!" "A duck, crow or a turkey call in the hands of the unschooled is the nations greatest Conservation asset." Tom Turpin. 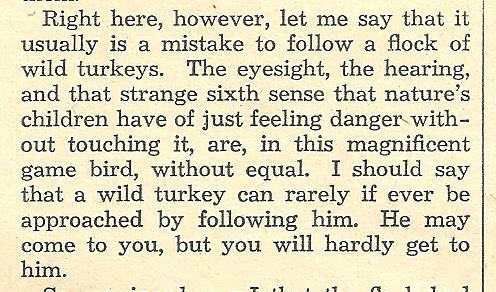 "None of our native animals is more wary than the 'educated' wild turkey." 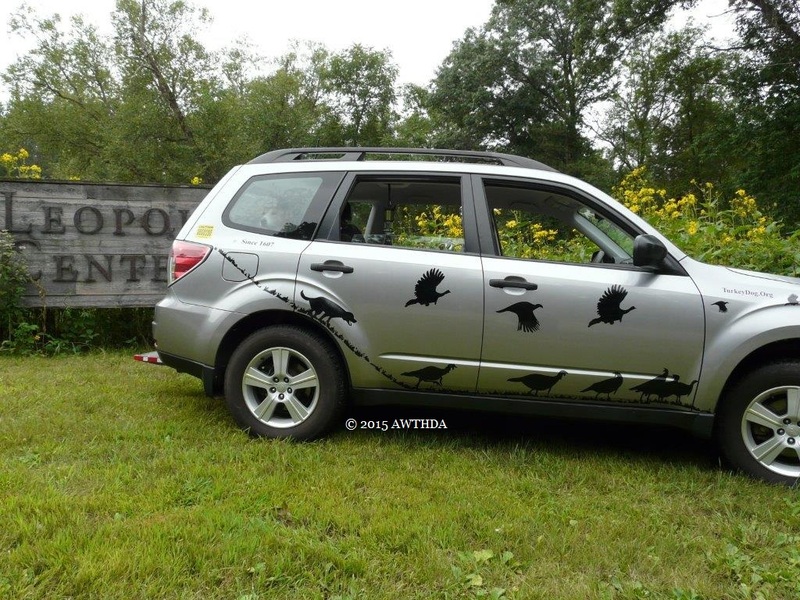 We support the International Association of Fish & Wildlife Agencies Teaming with Wildlife Coalition (Wisconsin), and the International Association of Natural Resources Crimestoppers (IANRC). 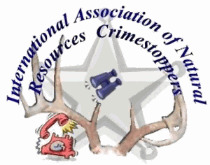 Their members operate the Operation Game Thief, Turn In Poachers, Report All Poachers, and related programs operating across the U.S. and Canada. If you have a turkey dog of your own, or hunted with a friends turkey dog, and would like to share your knowledge, skills and experience with our readers, simply write it down, and email it to us here. WE HUNT TURKEYS, ONE BARK AT A TIME.